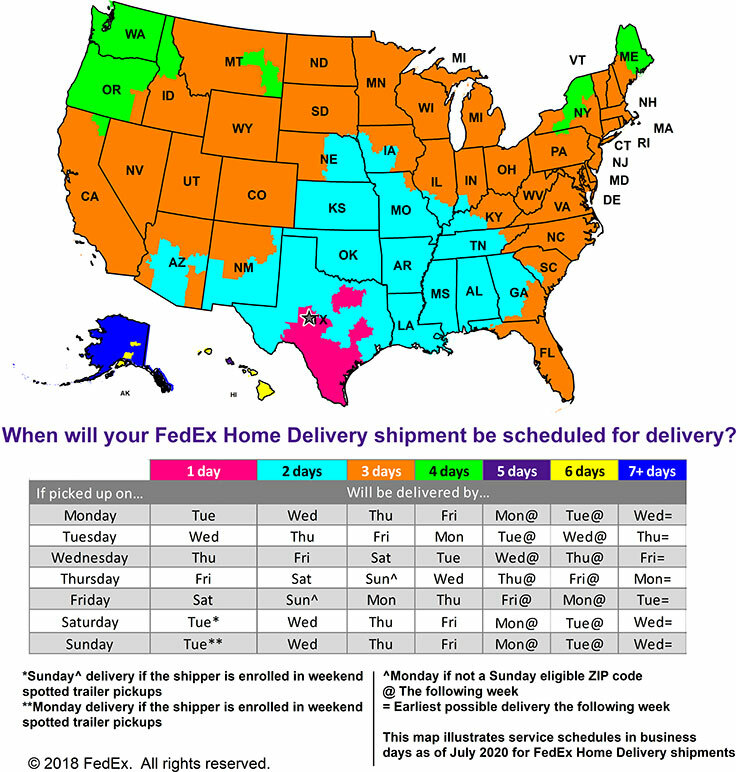 To determine which shipping option you should choose please refer to the FedEx map below. All fresh meats must be shipped overnight. Packages are not shipped on Friday unless they are within the zone for one-day delivery. (Must be Home Delivery only). For same day shipping, orders must be placed by 10:00 am. Because we ship perishable products we are only able to ship on the days listed in the table below.